While a terrorist designation would have several foreign policy implications, experts say the measure is being pushed primarily by stateside anti-Islam extremists like Gaffney who believe it would empower the Trump administration to target a number of major Muslim American nonprofits. While we are on record as opposing Mr. Gaffney and his record of extremist statements, the assertions by Mr. Berger about the US Muslim organizations and their links to the Muslim Brotherhood are preposterous and display an complete lack of familiarity with the topic. To begin, in 2009 the GMBDW editor published a report that represents perhaps the only attempt ever made to document the history of the Muslim Brotherhood in the US. As that report demonstrated, all of the major US Islamic organizations were founded not “with the assistance of the Muslim Brotherhood” as Mr. Berger asserts, but actually by Muslim Brothers or Hamas figures themselves fleeing various crackdowns on their organizations in their home countries. It is those organizations, together with the Muslim Public Affairs Council (MPAC), that we refer to as the US Muslim Brotherhood and in some cases are still led by their original founders. In July 2007, we reported that Nihad Awad led a two-day seminar in media relations at the World Assembly of Muslim Youth (WAMY) headquarters in Riyadh, Saudi Arabia. Muslim Brothers were instrumental in the founding of the World Assembly of Muslim Youth (WAMY) and the organization continues to enjoy close relations with the Global Muslim Brotherhood. In March 2008, we reported that Nihad Awad attended an Istanbul meeting of a new international Islamic philanthropic organization with strong Muslim Brotherhood and other Islamist representation. In March 2008, we reported that Nihad Awad was scheduled to attend a conference in Denmark sponsored by a UK Hamas support group and expected also to feature Mohammad Akram Al-Adlouni, the likely author of an infamous US Brotherhood document which called for “a kind of grand Jihad in eliminating and destroying the Western civilization from within.” Other prominent invitees included Raed Salah, the leader of the Muslim Brotherhood in Israel. 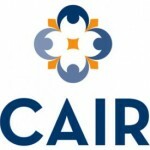 In September 2010, we reported that CAIR had invited Tariq Ramadan, the son-in-law of the Brotherhood founder, will give the keynote address at its 16th annual banquet in October. Tariq Ramadan is a member of Global Muslim Brotherhood leader Youssef Qaradawi’s International Union of Muslim Scholars (IUMS) and a leader in the global Brotherhood in his own right. In August 2011, we reported that Nihad Awad was interviewed by the Gaza-based, HAMAS-run Al-Aqsa Satellite Channel. In September 2012, we reported that CAIR had bestowed a lifetime achievement award on Jamal Barzinji, the late leader of the International Institute of Islamic Thought (IIIT) and one of the most important founders of the US Muslim Brotherhood. In June 2013, we reported that CAIR had shared its security guidelines with the Muslim Council of Britain (MCB), a UK umbrella group close to the UK Muslim Brotherhood. In March 2014, we reported that Nihad Awad had attended a Washington, DC conference sponsored by the Muslim American Society, another US Muslim Brotherhood group historically close to the Egyptian Brotherhood. The conference prominently featured Anas Altikriti, acknowledged by the UK government to be the leader of the Muslim Brotherhood in the UK. In March 2015 we reported that Nihad Awad had attended an international counterterrorism conference held in Mecca and sponsored by the Muslim World League (MWL), an organization historically close to the Muslim Brotherhood. Other prominent Global Muslim Brotherhood leaders were in attendance including Ali Al Qaradaghi, the Deputy leader of the IUMS, and Ahmad Al-Rawi, the head of the Europe Trust. The US Muslim Brotherhood coalition known as the US Council of Muslim Organizations (USCMO) has announced that it held the 1st International Conference of Muslim Councils in the West February 1-3 in Arlington, Va. The USCMO announcement described the conference as “a major initiative for Muslims in Western nations.” Illustrating the ties to the Global Muslim Brotherhood, the publicity photo for the conference features twelve individuals including Oussama Jammal, the USCMO Secretary-General and Council on American Islamic Relations (CAIR) leader Nihad Awad. Most significantly, the individual to the far-right is Anas Altikriti, the most important leader of the Muslim Brotherhood in the UK. The Twitter feed of Mohammed Kozbar, the head of the Muslim Brotherhood-controlled Finsbury Mosque in London indicates that he attended the conference along with Altikriti. A subsequent post reported that the conference was also attended by a wide variety of European Muslim Brotherhood leaders. as well as US government officials, and a prominent US academic supporter of the Global Muslim Brotherhood. 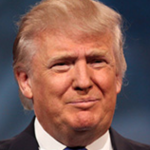 One of those leaders is known to have been a trustee of an organization designated by the US as a terrorist group. Since that time, Turkish media reported in September 2016 that CAIR headquarters was the second stop of a visiting Turkish delegation representing the AK Party, close to the Global Muslim Brotherhood and Hamas. 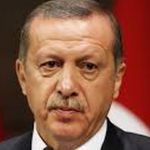 In October, we reported that Turkish President Recep Tayyip Erdogan himself had met in New York with a 25 individuals of which 17 are known to be tied to US Muslim Brotherhood or Egyptian Muslim Brotherhood or which have significant associations with the Brotherhood. One of those individuals was Nihad Awad, representing CAIR. We should note that all of the above, while substantial, represents only what the GMBDW has tracked based on open source information. Any credible intelligence analyst will acknowledge that with this much smoke, the fire is likely to be far larger and that with more time and better access to information, the complete history of CAIR and Niwad Awad’s ties to the Global Muslim Brotherhood could be more fully developed. Still, what we have documented above would appear to be a far cry from the assertion that links of CAIR, for example, to the Global Muslim Brotherhood are “ancient history.” If we had time to undertake this same exercise with the other groups in question, the results would be no different. We also plead with the mainstream media to start covering these subjects fairly and comprehensively in contrast to the stream of incompetent, poorly researched articles of late which seem intent only on reacting to those disseminating the information as opposed to a serious effort to find out where the truth might lie. Whatever one’s political position, it surely could not be considered positive that the mainstream media in the US has utterly failed to properly cover the subject of domestic Islamist groups. This is in stark contrast to the UK, where such coverage is ubiquitous and lively. The GMBDW stand ready as what we hope is a serious and sober publication to assist any reputable US journalists in such a task although we note that it been many years since we have received a single inquiry on the subject from a US journalist.